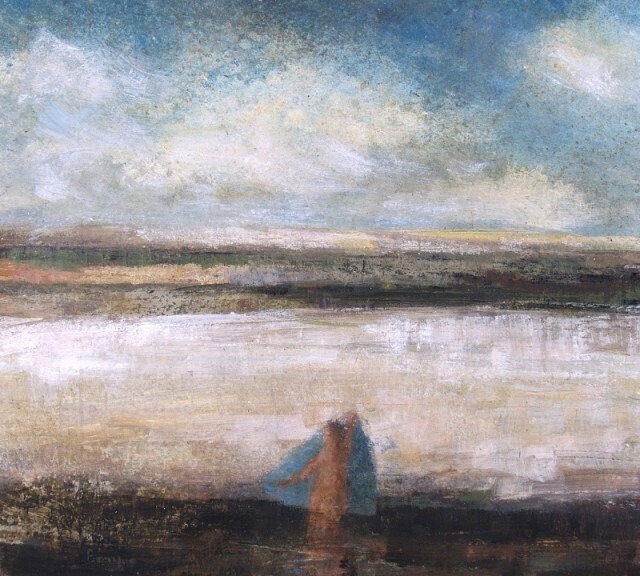 In the long awaited solo exhibition David Brayne RWS delicately builds up layers of pigment, taken from his extensive personal collection, creating an almost ‘glow-like’ quality to the surface of his paintings. His works have a timeless feel to them and an inherent sense of calm, with boats gliding over water, setting nets to catch fish, scenic river walks or figures bathing at the shore. Brayne’s uniquely sensitive touch is prevalent throughout this exhibition and once again he has produced a wonderfully atmospheric and captivating collection of work.